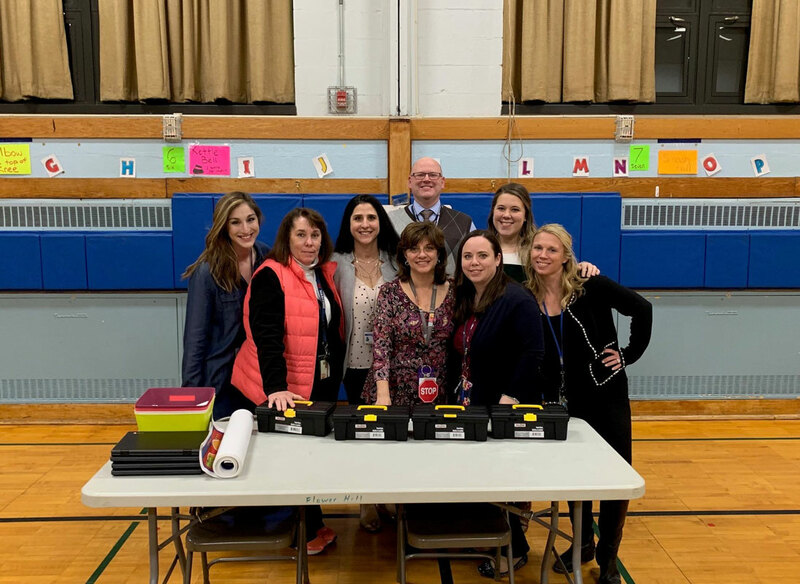 Flower Hill's Math Night saw many faculty and staff members volunteering their time. Teachers Leticia Cuthbertson and Allie Conlon coordinated the event in the school gym. Five math/STEM related activity stations kept everyone busy. The activities at each of the stations led to a clue. Students used clues to navigate through five stations, spending 10 minutes at each of them. Once they solved all the math questions, they were able to “escape” Math Night. There were all sorts of fun things going on at Flower Hill. 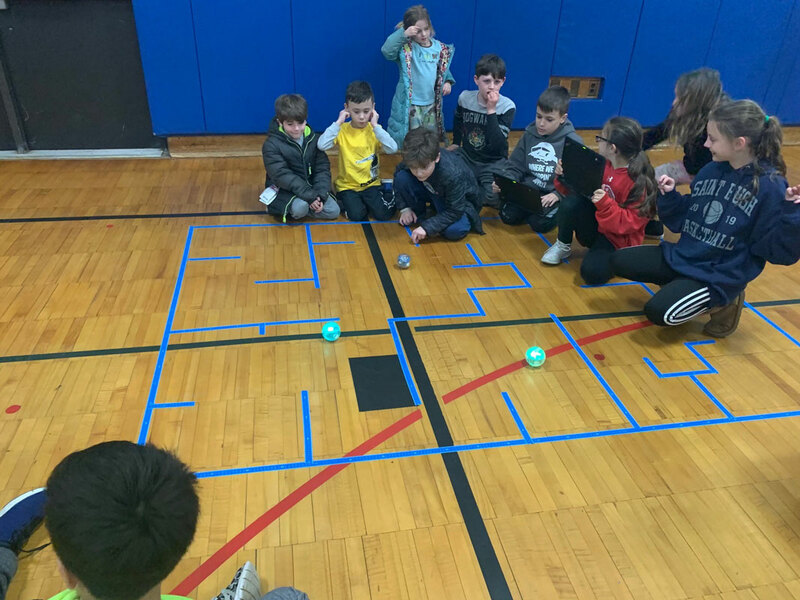 Technology teacher assistant Angela Sementilli brought participants through a coding skills lesson that involved moving a Spheros robotic ball on a path as the children’s parents watched. Librarian Jeanine Caras had students create electricity using little bit circuits and then make geometric shapes with Goobi magnets. Teachers Cathy Fede and Debra Ravo had students graphing and challenging each other in Domino war. Teacher Glenn Edwards had students skip counting and using their math skills on math mats for a “math in movement” experience. Teacher Chris Lofaro guided students through an “esti-mystery” to estimate using clues how many items there are in the container. Physical education teacher Nancy Conlon helped out, too. Principal Lucia Laguarda was pleased with how successful the evening was. 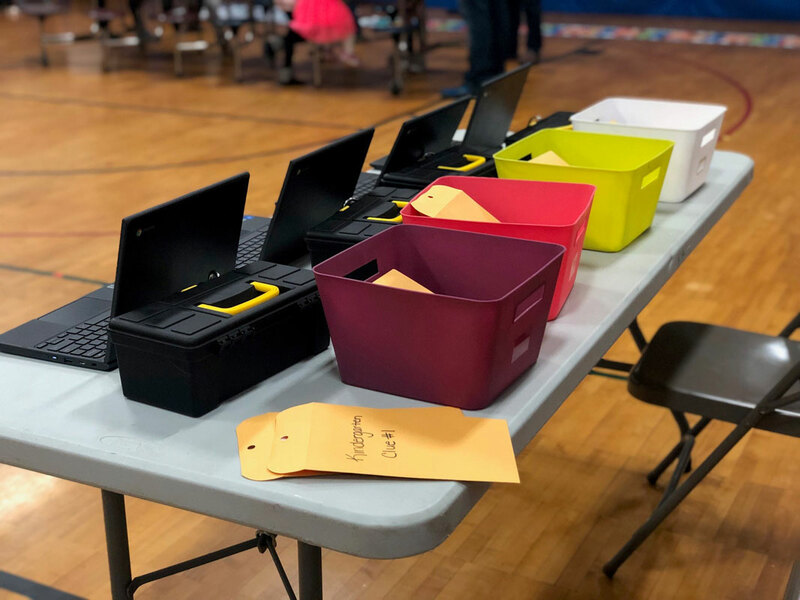 “Over 60 children attended for a fun interactive night for both parents and students,” she said. 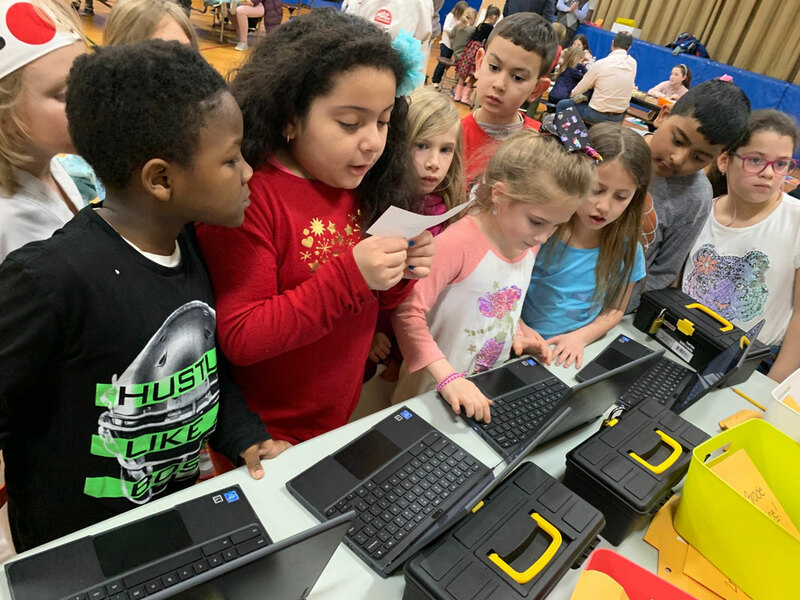 Flower Hill School's Math Night drew dozens of students to an evening at the school.